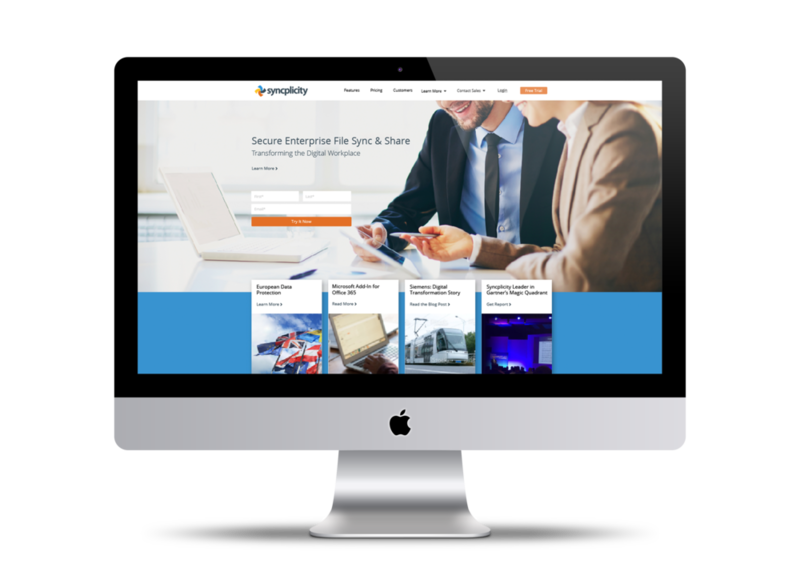 As the sole designer at Syncplicity I was in charge of website design, collateral design, event design, social media images, managing the relationship with the development agency for the website, and working closely with product marketing to establish branding and messaging. I worked on both desktop and mobile versions of numerous pages including the home page and pricing page, our top two visited pages. Both pages were designed with feedback from customers and employees of Syncplicity.